Birthplace : Brooklyn, New York, U.S.
Kendrick Jeru Davis, known as Jeru the Damaja is an American rapper and recording artist who has worked extensively with Guru and DJ Premier of Gang Starr, whom he has known since high school. Few hip-hop or rap artists have been as outspoken about the genres' commercialism as Jeru the Damaja. He is known for his open criticism of such heavy hitters as the group the Fugees and famed producer, performer, and Bad Boy label head Sean "Puffy" Combs. But critics and fans have lauded Jeru for the hard-core style, outspoken lyrics, and skillful rhyming on which he has relied. Although he started off with high school chums in Gang Starr, Jeru soon broke out on his own with hit underground singles like "Come Clean" and the full-length releases The Sun Rises in the East, Wrath of the Math, and Heroz4hire. Jeru the Damaja: D Original Dirty Rotten Scoundrel--which is his full stage name--was born Kendrick Jeru Davis in Brooklyn, New York. His father was a Rastafarian and the name Jeru means "first god," referring to the son of Egyptian gods Osiris and Isis. His favorite musical artists growing up were Chuck Berry, with the single "Ding-a-Ling," and Jimmy Castor and his song "King Kong." Jeru began rapping at age seven, inspired by his aunt, Sweet G, who was also a rapper. By the age of ten, he was writing his own rhymes. It was in high school that Jeru first met Guru and DJ Premier of the seminal hip-hop group Gang Starr, "one of hip-hop's greatest groups" that "thrives on that fine line between underground and mainstream," according to hip-hip magazine Insomniac. Jeru first appeared on Gang Starr's single "I'm the Man," from the 1992 album Daily Operation, and performed live with the group on tour in 1993. He was considered Gang Starr's protégé, but he quickly emerged from the group. With DJ Premier producing, Jeru released his solo debut single, "Come Clean," on Gang Starr's Illkids label. His style reflected the old-school sound of rap; it was Jeru's clear, enunciated style and focus on rhyming skill that set him apart from hip-hop contemporaries who focused on gangs and guns. "A long time ago rhyming was about having some skills, and what I tried to do is say, 'Let's bring it back to the skills and forget about the guns,'" he was quoted as saying by Yahoo's Musicfinder online. "Come Clean" became an underground hit and earned him a recording contract with Payday Records/ffrr. In 1994, he released his first full-length album, The Sun Rises in the East, which DJ Premier produced. The album, which included his single "Come Clean," and showcased Jeru's "molasses-smooth, metaphoric flow," according to one Billboard review. The same year, Jeru appeared on Digable Planets' second album, Blowout Comb, and Gang Starr's Hard to Earn, and recorded his own sophomore effort, Wrath of the Math, which was released in 1996. Lauded as Jeru's masterpiece, Wrath of the Math featured Jeru openly professing his disinterest for mainstream success. He took jabs at the Fugees and Sean "Puffy" Combs, and was seemingly "at war with the industry," according to Insomniac magazine online. "He's the type of guy who is truly admired," Insomniac publisher Israel Vasquetelle said in an interview with the Orlando Weekly. "He speaks out against the false people in hip-hop." DJ Premier once again worked with Jeru as a producer on Wrath of the Math. The two enjoyed a rare and thriving artist-producer relationship. "The chemistry that Premier and I have--that a lot of artists and producers don't have--is that he gives me the beat, then I write the rhyme to fit the beat," he was quoted as saying at iMusic.com. Jeru's goal with Wrath of the Math, aside from making a "dope" record, was "to provoke thought," he told iMusic.com. "That's all my music is here to do: provoke thought. By provoking thought, I switch and change the order of things." As a result of a falling out, DJ Premier did not have a hand in Jeru's 1999 release Heroz4hire, which featured the single "99.9%." Instead, Jeru took charge of everything on the release including the studio work and production. He even released it himself. After his deal with Payday Records fell by the wayside, he started his own record label, KnowSavage Productions. Jeru's protégé, Afu-Ra, debuted his own release in 2000. As a rule, cameo record appearances are common between hip-hop artists, but Jeru did not appear on Ra's Body of the Life Force, and Ra was absent from Jeru's 1999 release, Heroz4hire. "Man, money and fame change [things] up," Jeru said in an interview online at Angelfire.com about the strained relationship between he and Afu-Ra. "I taught [him] how to rhyme and all that, but now I don't see [him] anymore. It's basically the same thing with Gang Starr. We still cool and all that, but brothas ain't on the same level right now, nah man?" Handling everything himself as he did on Heroz4hire brought Jeru to another level, he said. I just want to remain self-sufficient in everything ...." he said in the Angelfire.com interview. "I'm like the book of Revelation--I'm the beginning and the end!" In addition to becoming a better producer, he was looking forward to starting an organization called Ghetto Relief Organization (GRO) with friends. GRO would teach inner-city children to record music, giving them the skills and opportunity to express themselves, no matter what kind of music they wanted to make. Jeru's records never received significant radio play, his videos didn't appear on MTV, and his face wasn't on the covers of many magazines. But the rapper enjoyed a consistent level of respect from critics and hard-core fans, a rarity in the fickle world of hip-hop. Jeru had a lot to tell Insomniac magazine on the subject. It is "because I am real," he said, "and I am not really concerned about what people think of me. Fame is not my goal. My goal is to put out dope hip-hop.... I am going to stay Jeru everyday and do my thing, and that's real hip hop." In 2009 Jeru started to collborate with Drum & Bass Producers. In 2009, he is featured on Kabuki's track "Watch Your Step. ", produced by Mainframe. Jeru also collaborated with Group Home in 2010 for a song dedicated to the late rapper Guru. The song is titled "G.U.R.U.". Recently Jeru confirmed he will drop a new album in 2011 with production from 90's legends JuJu, Pete Rock, Large Professor & old time collaborator (their problems since reconciled) DJ Premier. In 2011 Jeru The Damaja featured in the song "Oddałbym" on the album "Reedukacja" of Polish hip-hop group Slums Attack (Peja, Dj Decks). In addition to Jeru The Damaja, a Polish rap star O.S.T.R. also featured. The album was a great success in Poland, and sold out in the first couple of days. 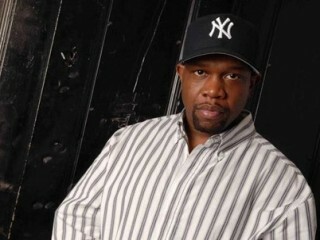 View the full website biography of Jeru The Damaja.